Bartholomew Street in Glasgow’s Bridgeton district still stands today but it is an empty street: a brick wall runs along one side with nothing behind it, there are no houses, shops or businesses anywhere to be seen. It is a ghost street. As cars and buses drive past Bartholomew Street and nearby Dalmarnock rail station heading up the new road towards Celtic Park, few people are aware of the history of these deserted streets that lie close to the River Clyde, the people who lived on them and the pivotal role the area played in the story of Celtic Football Club. The next road had no name but is now called Bartholomew Street. It led down along the side of a burn, which was the march between Dalmarnock and Barrowfield estates, and ended at the gate to Bartholomew’s Works. There was a large block of brick houses here, which was called Glengarry, occupied by the workers at these works. John Bartholomew had established a cotton factory and dye works next to the River Clyde at Dalmarnock in 1768. Slowly, the former idyllic riverside area just outside of Glasgow town changed in character as more industries and businesses set up works – principally bleach, dye and printworks – to take advantage of the river as a source of power. This part of Bridgeton would never be the same again. 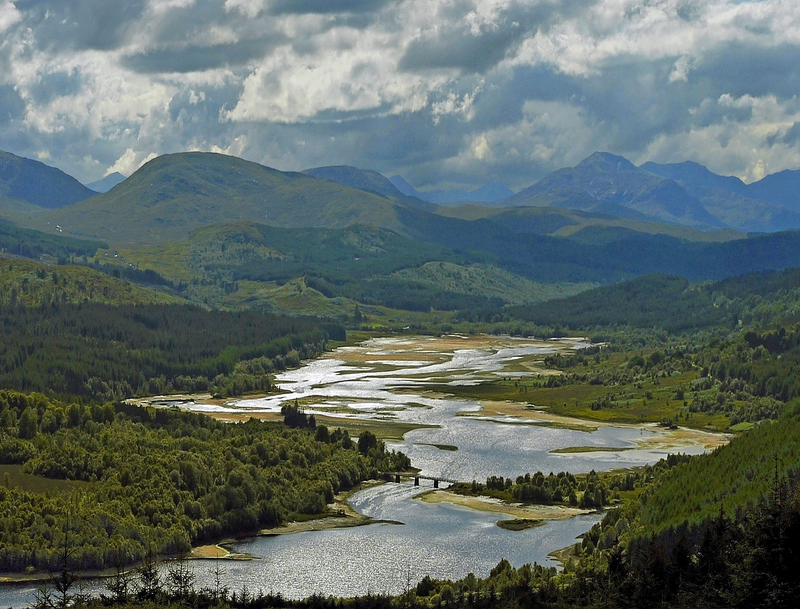 The Glen that is home to Loch Garry in the Scottish Highlands remains an idyllic setting. Sixteen miles north of Fort William is the point where the River Garry joins Loch Garry, part of the Great Glen. In the 1790s this area known as ‘Glengarry’ was still home to the Clan MacDonnell which had fought under Bonnie Prince Charlie at Culloden. Like other surviving clans, the people of Glengarry were targeted in the notorious Highland Clearances. 1792 was to become known to these Gaelic speakers as ‘Bliadhna nan Caorach’ (The Year of the Sheep) as families were in turn evicted from their homes and their farmlands converted into sheep walks at the behest of profiteering landlords and a conniving Government. Protests by local clansmen resulted in the Black Watch being mobilised against them. For the community of Glengarry, emigration was their only option. In 1791 a ship left from Skye heading for North Carolina in the United States with a large number of Glengarry families on board. After getting into difficulties the ship required to dock at Greenock. The Highlanders were forced on-shore for days while repairs were ongoing. Many were destitute and, as non-English speakers, struggled to communicate with locals. In these dire circumstances their priest was sent for. Father Alexander MacDonell had been educated at Paris and Valladolid before returning to Glengarry after his ordination. In the aftermath of the notorious Gordon Riots of 1780, an ‘anti-Papist’ protest which descended into the worst rioting and looting ever witnessed in the city of London which was only suppressed by the intervention of the army, Catholic priests and Catholic worship were effectively outlawed and liable to attack. Anti-Catholic sentiment was especially strong in Scotland at this time and few Catholics made their faith publicly known. In Glasgow in the 1790s, one historian has claimed that there were only 39 practising Catholics in the city – and 43 anti-Catholic societies. Yet when he arrived at Greenock, Father MacDonell immediately started negotiations with a view to finding work and homes for his Glengarry flock in Glasgow. The industrialist David Dale, who owned New Lanark as well as the Barrowfield Dyeworks in Bridgeton, had also gone to Greenock in the hope of persuading the Highlanders in to his factories. Dale and George MacIntosh has found commercial success in producing colour dyed materials. They had hired Frenchman Pierre Jacob Papillon, a master dyer from Rouen, to come to Glasgow in 1785 to implement the secret ‘Turkey red’ process of dyeing. This proved a great success and business boomed. The street where the works were established was originally called Papillon Street and later changed to French Street – the spine of this small network of streets that this riverside community would develop into. In addition to shelter and work, Father MacDonell’s negotiations with David Dale and his business associates focused on establishing a safe place of worship in Glasgow for the Highlanders. This was how a large hall in Mitchell Street (in the heart of what is now the Merchant City) came to be rented for ‘the publicly avowed purpose of being a Catholic chapel.’ Opening in October 1792 under the stewardship of Father MacDonell, a congregation of 200 began celebrating mass publicly in Glasgow for the first time since the Reformation of 1560. This congregation was largely made up of the Highlanders who now occupied the houses around Bartholomew and Papillon Streets of Bridgeton. This small area quickly became known by the name of the inhabitants’ original homeland: Glengarry. This was a significant development as Glengarry was the first recognised Catholic community in the city in over two centuries. Previously, private homes had been used to celebrate Mass clandestinely. However, when anti-Catholic sentiments were running high, these unofficial places of worship would come under attack. This was the case for Robert Bagnall, an English potter who had set up home in the East End of Glasgow in 1768 and allowed Mass to be said there in secret. The home and pottery were burnt to the ground in a sectarian attack in 1779 and Robert and his family moved to East Lothian where he re-established his business. Although Father MacDonell posted a guard when Mass was held at Mitchell Street, there is no record of any attacks or confrontations. A congregation of a few hundred proved a less appealing target than one of a few dozen. The Highlanders threw themselves into their new jobs although factory work was alien to them and would later receive ‘ample and favourable testimonials of the good conduct’ they displayed from their Glasgow employers. It was not just men and women who worked in the cotton factories as David Dale, often remembered as a social pioneer, was renowned for the use of child labour. It was not uncommon for children to work 15 hour days at this time. The reliance of families on the income their children brought in from such labour would prove pivotal to the story of this community in decades to come. Colour cotton dyeing gave the owners a commercial edge and while factories grew larger in size and mills also became established, the bleaching of the cotton required to be carried out by sunlight. This meant that large areas had to be retained as open land for sheets to be laid out in the days before bleaching agents were available. It is believed that this is how one field, which became known as Glengarry Park, survived for so long in the increasingly industrialised setting along the River Clyde. This drawing (below) of the Barrowfield Dye Works from the early 19th century, showing female workers laying out materials for bleaching, gives an indication of the layout of the land in this part of Bridgeton at that time. Since I came to Glasgow I have seen upwards of six hundred Catholics, men, women and children from various parts of the Highlands, spread over the whole face of this country in quest of a scanty subsistence . . . A recital of the sufferings of this miserable people since the fatal stagnation took place in trade would sear your very soul. I have at this instant a list of scores of them unable to get labour and destitute of every necessity of life. The Highlanders were facing a true dilemma: there was little hope of work for them staying in Glasgow and they did not have the funds to allow them to emigrate. Returning to the ancestral homelands of Lochaber was not, however, an option. The Glengarry Fencibles were disbanded in 1802 as they were now surplus to military requirements. In recognition of their service the British Government offered the Highlanders land to re-settle in Trinidad, which they surprisingly declined. Instead Father MacDonell secured an offer of 160,000 acres in eastern Canada where other members of the MacDonell clan had moved in 1786 (with another Father MacDonell from Knoydart, Glengarry) – naming their new home Glengarry County, which now lies in modern Ontario. Scottish Gaelic is still spoken in parts of the county today and it is home to one of the largest annual Highland Games outside Scotland. Alexander MacDonell went on to become the first ever Catholic Bishop of (what was then) Upper Canada. The number of Catholic parishes in the region increased from three on his arrival to forty-eight at the time of his death. Most importantly, he had led his Highland parishioners from banishment, destitution and war to a secure and peaceful future abroad – with their faith, language and culture intact. Meanwhile, over two thousand miles away in Glasgow, a sizeable number of the original Highlanders, particularly those with young families, had remained in Bridgeton. An upturn in the fortunes of the cotton industry and increased mechanisation meant more jobs in large mills and other works which had developed alongside the River Clyde. Glengarry, and Glasgow, was to change beyond all recognition. One man’s story demonstrates how some of those original Glengarry settlers and their offspring fared in Bridgeton after Father MacDonell and their clansmen left for foreign fields. In April 1817 Hugh MacDonald was born in Rumford Street, Bridgeton, just a short distance from Bartholomew Street, where his parents lived initially on arrival from Lochaber. The eldest of eleven children, Hugh was working as early as 7 years old as a tearer” alongside his father in a local printworks. He was later apprenticed as a block printer at David Dale’s former Turkey Red Works on French Street, by that time owned by Henry Monteith who would later become Lord Provost of Glasgow. The young MacDonald went on to become a shopkeeper in Bridgeton before moving into journalism in 1849, despite having had scant formal education (it is believed he only ever attended night school and was the youngest person on the roll of Bridgeton Public Library as a youth). He worked for various Glasgow newspapers and became widely known as a poet and naturalist. In 1854 a book of his writings entitled ‘Rambles Around Glasgow’ was published which sold well, with his descriptions of the burgeoning city and especially Glasgow Green – his most cherished place and just a short walk from Glengarry – earning him fame. MacDonald died at the early age of 43 in March 1860, leaving a widow and five children behind. A fountain in his memory stands in Glasgow Green close to the location of the ‘bonnie wee well’ he celebrated in song, just behind the People’s Palace. The entry to the Green which today faces Bridgeton has been renamed Hugh MacDonald’s Gate. In the guid auld field? Do you min’ our lichtsome wiles. The bat, the bowl, the ba’. Scarce now I ken a face, In the guid auld field. In the guid auld field. It is to the credit of that community that one of the East End of Glasgow’s most acclaimed writers and poets came from their ranks. Hugh MacDonald’s children helped form the third generation of Catholic Highlanders in Bridgeton, although the ties with Lochaber were purely historical now. At the time of their father’s death the area and community had changed almost beyond recognition. It is believed that, following An Gorta Mor – the Great Hunger – of 1845–1852, over a quarter of a million Irish men, women and children fled to Glasgow, the overwhelming majority to the city’s East End. Between 1850 and 1884 the number of Catholic churches in Glasgow increased from five to fifty-four. Glengarry and Bridgeton would become home to a new generation of immigrants of the Catholic faith. In late 1873, in the area behind Hugh MacDonald’s birthplace on Rumford Street, the Sacred Heart Mission was opened. Bridgeton now had a Catholic church of its own. On 26th January 1874 the Sacred Heart School was opened, adjoining the mission and its presbytery on Old Dalmarnock Road. The school’s first headteacher was an Irishman from County Sligo who was born Andrew Kerins but is better known today by the name given to him on becoming a member of the Marist teaching order: Brother Walfrid. Father Edward Noonan, the first parish priest of Sacred Heart, was a Limerick man and he and Brother Walfrid had their work cut out. In the 1870s Bridgeton was heavily industrialised and the area experienced all the well-established social ills that cities of the time were renowned for: poverty, squalor, illiteracy and alcoholism. Building a parish to meet the needs of a burgeoning flock was no easy feat in an era without any system of social security or a National Health Service. As Headteacher of the boys school (the separate girls school was managed by nuns from the Franciscan Order), Brother Walfrid developed a number of initiatives to encourage the children of the new parish to attend the school and remain engaged with education (and the church) when their schooldays were over. He created youth clubs and started a library system accessible to young people throughout the parish. A network of employer contacts was cultivated throughout the city to help identify work placements for when the pupils came of age. This park was also home to a parish football club from Sacred Heart called Eastern Rovers which the Glasgow Observer of 1885 year confirmed had originally “been raised through the exertions of Brother Walfrid.” The Marist brother’s involvement and interest in football was only just beginning . . . The biggest problem faced by Brother Walfrid was persuading families in the new parish of the value of education. Child labour at the time was the norm and the income that children generated was relied upon by many families to ensure there was enough food on the table for them all. If a child was attending school then they weren’t earning with less money coming in to the house – with the same number of mouths to feed. When the school opened in 1874 there were only 300 children who attended regularly even though Sacred Heart had 2,000 parishioners. While the number of Bridgeton Catholics continued to increase, this didn’t lead to a corresponding rise in the school roll. In order to overcome this problem that the Sligoman conceived the idea of the Poor Children’s Dinner Tables in 1884. If children were provided with nourishing food while at school this would reduce the financial burden on the families and allow the children to help receive, at least, a basic education. With the help of lay members of the St Vincent de Paul Conference in the Sacred Heart parish, Brother Walfrid took over premises in Savoy Street, at the rear of the school and church, to establish a kitchen to prepare the food for the Dinner Tables. Savoy Street, Bridgeton – 1960s. The pend leads on to Main Street. A ‘penny dinner’ scheme was established, which Brother Walfrid described in 1895 in these terms: The children were provided with a good warm meal for a penny. Should parents prefer they could send the bread and the children get a large bowl of broth or soup for a halfpenny and those who were not able to pay got a substantial meal free. This has been a very great blessing to the poor children. The expenses for some time were met by subscriptions and collections, sermons etc. In the winter of 1885 a breakfast meal of a large bowl of porridge was also introduced to the penny dinner scheme. The scheme presented the families of the parish with new options regarding their children’s welfare and education and it also provided the Catholic Church locally with a formidable challenge to the growing threat from soup kitchens, Gospel Tents and Evangelical Halls in Glasgow who used food as the means of tempting under-nourished Catholics – and especially children – into abandoning their faith. Irishmen such as Father Noonan and Brother Walfrid were well aware of the risks posed by evangelical Protestant missionary societies to their parishioners. During An Gorta Mor such aggressive missionary activities were common throughout Ireland, offering sustenance for the body as well as the mind of those prepared to ‘turn’ from their religious convictions. Those who succumbed to the temptations of the Protestant soup kitchens were commonly referred to by the derogatory phrase of ‘taking the soup’ or soup-takers, a label that has survived down the years. With a weekly commitment to provide almost 2,000 dinners at the two schools, and the local community being so impoverished that very few families could pay either a penny or half-penny contribution, the Penny Dinner Scheme required urgent funding. The cost of providing the dinners in the first year at Sacred Heart (£105) was a significant amount for a school in a poor community to raise in the 1880s. Brother Walfrid’s thoughts turned to a new form of fundraising: football. The new sport was attracting followers in ever-increasing numbers in the 1880s. In Edinburgh and Dundee teams had developed out of those cities’ Irish communities who enjoyed great support and success. Brother Walfrid realised there was potential for raising considerable sums to maintain the Dinner Tables by organising charity football matches in a Glasgow which was without a high-profile Irish football club. As early as 1885 he was responsible for an invitation being issued to the Edinburgh Hibernians to send a team through to Glasgow’s East End for a game. Hibs’ reserve team took on the junior club Glasgow Hibernian on 26th September 1885, winning easily by 6-0, and afterwards the Edinburgh team attended a dinner hosted by the SVDP in St. Mary’s Hall on East Rose Street. This was the first in a series of matches which Brother Walfrid organised in the East End, all the while developing new connections with established football clubs throughout Scotland. While only a modest amount was raised from that first game, a bigger crowd was in attendance on 8th May 1886 when Clyde FC offered to take on Dundee Harp at their ground at Barrowfield Park – their home before a move across the river to Shawfield in 1898 – which lay just across Carstairs Street from Glengarry Park. Publicity posters for the game stated that monies raised would be used “for the purpose of supplying the children of the unemployed Catholic householders of Sacred Heart Parish with free dinners and breakfasts.” Harp ran out 2-1 victors in that tie and this time it was Sacred Heart school where the visiting Dundonians and the Clyde players enjoyed a post-match meal with Brother Walfrid presiding. On 18th September 1886 a crowd of 1,000 attended at Glengarry Park, the home of the teams most closely associated with Brother Walfrid – Eastern Rovers and Columba – to see Edinburgh Hibernians reserve team take on a parish team from St. Peter’s RC Church in Partick. It was the St. Mary’s Dinner Tables who were the beneficiaries of this tie. As successful as these charity games had been in boosting the coffers of the Dinner Tables, the sums raised paled in comparison to that of the ‘East End Charity Cup’ ties fought between Renton and Hibernian – recent winners of the Scottish Cup for the first time – at Barrowfield Park on 26th May and 6th August 1887. Over 12,000 turned up at the first game, a massive gate which surpassed the crowds of most Scottish Cup finals in the preceding years, and the sum of £120 was taken in gate receipts. That game finished 1-1 and a replay was arranged for the start of the new season and an attendance of 4,000 was recorded this time, both crowds providing a boost to the funds of not only the local Dinner Tables but also charities in both Edinburgh and Renton. This time Renton ran out easy 6-0 winners with 5 goals coming from future Celt Neilly McCallum. After the replay in August 1887, the Renton and Hibernian parties retired to the Sacred Heart Boys Club for the post-match reception. The Sacred Heart parish had played host to this remarkable series of football matches which, over the course of two years, would ultimately lead to the creation of one of the greatest names the sport has known. Brother Walfrid’s instincts about the popularity of football among the Glasgow Irish and the people of the East End generally were proven correct. A new idea had began to take hold – the creation of an Irish club in Glasgow to match and surpass the success of Hibernian in Edinburgh and Harp in Dundee. In September 1887, just a few weeks after Renton won the East End Charity Cup in Bridgeton, Brother Walfrid travelled to Cathcart in the company of John Glass and Pat ‘Tailor’ Welsh. The purpose was to persuade Tom Maley to join a new Glasgow football club, plans for which were already at an advanced stage. With great fortune, the trio also invited Maley’s younger brother Willie to join as well. Many years later Willie Maley would recall that it was in September 1887 that he ‘took the shilling’ and signed up with a club he would serve faithfully as player, secretary and manager until 1940. Celtic Football Club was formally constituted on 6th November 1887 in St. Mary’s Hall in nearby Calton. In a circular issued in January 1888 it was stated that “the main objective of the club is to supply the East end conferences of the Saint Vincent de Paul Society with funds for the maintenance of the “Dinner Tables” of our need children in the Missions of St. Mary’s, Sacred Heart and St. Michael’s. Many cases of sheer poverty are left unaided through lack of means. It is therefore with this principal object that we have set afloat the “Celtic”. Land had already been secured for a ground for the new club. The first Celtic Park – just off Janefield Street to the rear of the modern day Lisbon Lions Stand – was located less than a mile from Glengarry Park. The concept of a sports club being set up for charitable purposes was ground-breaking and Brother Walfrid oversaw the development of Celtic and continued to manage the Penny Dinner scheme at Sacred Heart school through to his departure to London in 1892. He therefore missed the remarkable scenes outside Sacred Heart Church in 1905 when thousands turned out to mourn the passing of an early hero of the club he founded. Barney Battles was a hugely popular Celtic player in two spells between 1895 and 1905, winning two Scottish Cups and one League title, and a Scottish internationalist. He died suddenly from pneumonia at the family home on London Road within a year of leaving Celtic. Following requiem mass at Sacred Heart a cortege of over 2,000 followed Barney to his resting place at St Peter’s Cemetery, Dalbeth via Celtic Park. It was estimated that a crowd of over 40,000 lined the route. It was one of the biggest funerals the parish has ever witnessed. 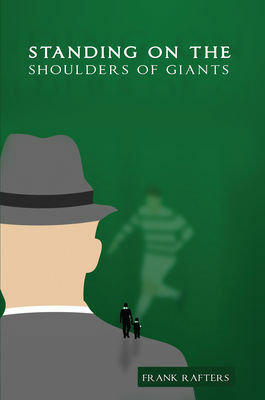 Bridgeton was familiar territory to many of those involved in the development of Celtic FC. The club’s first captain, James Kelly, originally lived with his family in James Street before they moved to Blantyre as his playing career ended and before he joined the Board of directors, later becoming Chairman. Early Celtic meetings and AGMs were held in the Mechanic’s Hall at Canning Street (now London Road), just a short distance from Bridgeton Cross. In the new century the community of Sacred Heart augmented its position in Bridgeton. The Highlanders – and their language – were no longer an obvious presence but the parish founded in Glengarry was now home to thousands of descendants of immigrant Irish. During 1909 – 1910 a new church was built on the site of the original mission building in the grand style of a Roman basilica in red sandstone over three storeys. Designed by the Belgian architect CJ Menart, the front of the church is adorned with three statues: below the central figure of Christ stands Saint Patrick to the left and Saint Andrew to the right, reflecting the Irish and Scottish identities of the people who both shaped and formed the parish of the Sacred Heart. The new church dominated its surroundings on Old Dalmarnock Road. Next door to the presbytery, as shown in this photo below, was the three-storey Sacred Heart Boys School. The girls’ school and nursery were located to the rear of the church on Reid Street, home to Sacred Heart Primary School today. Around the corner, on Muslin Street, was the League of the Cross Hall – effectively the parish hall – which completed the church’s estate in Bridgeton. The earliest industry in Bridgeton and Calton was handloom weaving and by 1819 it is estimated that almost one third of the workforce were Protestant Irish. Largely overlooked, it is now estimated that over one quarter of the Irish who moved to Scotland in the 19th Century were non-Catholics from the northern counties. Scottish employers had directly targeted these workers due to large numbers of skilled Scottish workers emigrating to North America and beyond. Historian Tom Devine has recorded how Belfast newspapers of the era had adverts placed by Lanarkshire and Ayrshire firms offering jobs in mines as well as new and developing iron and steel works. As a result of immigration, certain Scottish towns and villages became home to large communities of Protestant Irish, including Larkhall, Airdrie and Bridgeton. Many of those who crossed the Irish Sea at that time were adherents of a uniquely Irish institution with which these areas of Scotland were to become synonymous: the Orange Order. The first Orange Lodge in Glasgow was established in the Trongate in 1813. Eight years later saw the first organised demonstration or ‘walk’ in the city to commemorate the Battle of the Boyne. Organised by Glasgow’s then three lodges, the parade was not advertised nor had it been granted permission to proceed. The appearance of Orange marching band and supporters in the Merchant City area, close to the homes of many immigrant Irish Catholics, was unsurprisingly met with resistance as it approached the Trongate: ‘the crowd burst upon it’ reported the Glasgow Chronicle. Sashes and banners were seized and destroyed and the marchers had to flee, taking refuge in public houses in King Street. As a result of the disturbances of 1822, fifty years would pass before the city fathers would give permission for an Orange Order parade within Glasgow’s boundaries. The social impact on the city of Glasgow of the large numbers of Catholic and Protestant Irish settling in the city would prove considerable. Orange Order membership swelled as a result of resentment at the increased numbers of Catholics– with Ulster-born Protestants prominent in the upper echelons of Scotland’s Grand Lodge and instrumental in the Order’s subsequent development in Glasgow and beyond. Between 1865 and 1900 the number of Orange Lodges in Scotland increased significantly and it was estimated that at the end of the century the number of members had risen to approximately 30,000. In the 1850s there were already two Orange Lodges in Bridgeton and the creation of a third saw ‘district’ status conferred on the area. In the 1870s a new district – no. 44 – was created as new lodges extended across Bridgeton’s eastern boundary into Dalmarnock – covering both the Sacred Heart parish and Glengarry. Social conflict was never far away. As early as 1879 there is a newspaper record of the windows of the Sacred Heart church being smashed in the aftermath of an Orange parade. A Bridgeton flute band had earlier marched through High Street towards the Garngad trailed by ‘a large and disorderly mob’ and it was these followers who attacked the church on the return to Bridgeton. Such attacks would prove commonplace for decades to come – and were often met with violent responses. Sectarian violence in Bridgeton was at its worse in the 1920s and ‘30s. Developments such as the decision to bring Catholic schools into the state sector in 1918 and the creation of the Irish Free State four years later fuelled anti-Catholic resentment which was exploited by political organisations such as the Scottish Protestant League (SPL). Led by the notorious Alexander Ratcliffe – who later publicly declared himself a fascist following a visit to Nazi Germany in 1939 – the SPL campaigned for the repatriation of Irish immigrants and repeal of Section 18 of the 1918 Education (Scotland) Act, arguing it was tantamount to ‘Rome on the Rates’. In 1931 Ratcliffe was elected to the Glasgow Corporation to represent Dennistoun and another SPL candidate won the Dalmarnock seat. In Glasgow’s municipal elections in 1933 the PLT secured 68,000 votes – 22% of the total amount cast – and won seven seats, despite (or because of) the virulent anti-Catholic policies they pursued. The sectarian divisions regularly manifested in street violence at this time due to another social dynamic that had a uniquely Glasgow dimension: razor gangs. Glasgow street gangs were not a new phenomenon but their size and influence scaled new heights in the era between the wars. The largest and most notorious gang was the Protestant-only Billy Boys who were based at Bridgeton Cross. The Billy Boys were also an Orange flute band and had a separate juvenile division, known as the Derry Boys. Their acknowledged leader was Billy Fullerton, born in the Calton in 1906, and one story claims that he started the gang after a football match against a team called Kent Star on Glasgow Green in 1924 led to him being subject to a fierce hammer attack. Kent Star were in fact a Catholic gang from the Calton, who with their co-religionists in the Calton Entry, would be regular conflict with the Billy Boys (who at one point had a membership in excess of 800). The Billy Boys had enemies even closer to home than the Calton. The Evening Citizen reported in March 1926 that the Billy Boys had been in clashes at Bridgeton Cross with a rival ‘Fenian’ gang – the Norman Conks. Taking their name from their base in Norman Street in the centre of the area known as Glengarry, the Norman Conks (short for Conquerors) were renowned for their willingness to confront the larger Protestant gang throughout Bridgeton and in defence of their Catholic enclave. There were other Catholic gangs in Bridgeton at this time also. The Savoy Arcadians gathered in the area of Main Street directly behind Sacred Heart Church (on the street where the kitchen for the Poor Children’s Dinner Table was set up) while the Shanley Boys claimed Dale Street (named after the industrialist of the previous century) as their territory. Extortion of local businesses and theft were common means for the East End gangs to raise funds. Street violence however was their real currency and some gang members were happy to display their allegiance by showing green or blue handkerchiefs in their suit jackets. The Billy Boys did not restrict their attentions to local Catholic gangs. 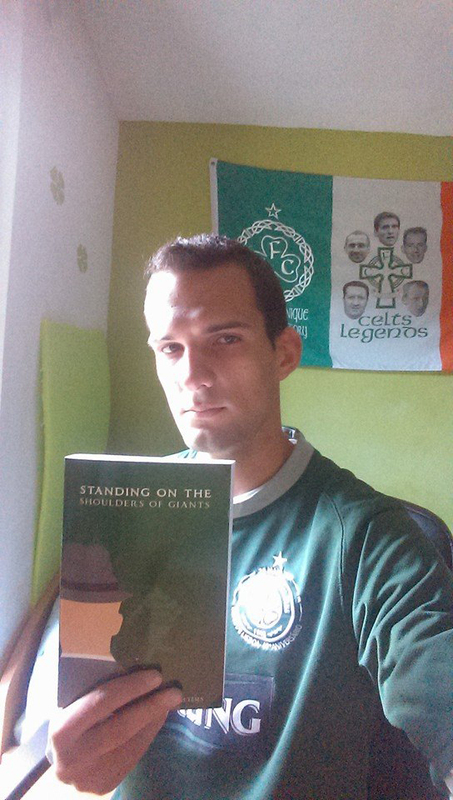 The proximity of Celtic Park afforded them the opportunity to widen the scope of their attacks. Bridgeton train station was the scene of an ambush in March 1934 as Celtic fans were passing through on an away visit to Love Street in Paisley. Using a waiting group of Rangers fans as cover, a couple of Billy Boys jumped on the train and attacked two Celtic fans, one of whom was slashed with either a knife or a razor. The principal attacker – a leading Billy Boy called John Traquair who had a previous conviction for attacking a Shanley Boy with a hatchet – was jailed for four years for the premeditated attack. Gang violence in the East End was not always focused on sectarian lines. The Catholic gangs of Bridgeton did not always act in unison. A fall out between the Norman Conks and Shanley Boys in 1936 led to a two year-long feud which was peppered by violent clashes between Dale Street and Glengarry. Sometimes gang violence was turned against their own. Jurgis Stankawicus – known as Stankie – was a former pupil of Sacred Heart school born of Lithuanian parents who was a member of the Savoy Arcadians. A dispute arose in October 1936 about his apparent association with two members of the Billy Boys, leading in turn to a fight – during which he was beaten to death with a poker and a knife by fellow members of the Aracadians. As soon as the distant strains of his offensive music were heard by the Conks, they manned all upper windows, and even the roofs in their street, and when the Billy Boys’ band tried to march past, it was met with a downpour of bricks, missiles, buckets of filth, and broken glass. If the Norman Conks could have made boiling lead, I am sure they would not have hesitated to use that too. It was certainly all that would have been needed to complete the picture of a medieval siege. The same hall was to again feature in the local newspapers in 1936 when a number of Derry Boys were jailed following another attack on the premises. The Derry Boys had by that time assumed the mantle of the pre-eminent Protestant gang in the city from the Billy Boys and were regularly in conflict with both rival gangs and police. Three of the gang had been jailed in 1934 for smashing the windows of Sacred Heart school. The summer of 1936 was to surpass the violence of previous years however. As was common, disturbances followed the annual Twelfth of July memorial parade but these intensified after one of the Catholic gangs disrupted a local funeral. The Derry Boys attacked the Ancient Order of Hibernians (AOH) Hall in the Calton and followed this up with midweek parades in the evenings, stretching police resources as these parades came under attack from the Conks and other gangs. The judiciary and police decided that concerted action was required to bring the gang warfare to an end. Their principal target was the Derry Boys and a trap was set in early August 1936 when the Derry Boys complete with flute band and supporters, altogether numbering excess of 500, left Bridgeton Cross one Friday evening, heading along London Road in the direction of Celtic Park. A short distance along the road they were met with a small contingent of police who commanded the march to stop. Realising that they heavily outnumbered the police, the Derry Boys attacked – mostly with bottles and stones although one police officer was assaulted with a spear. The gang hadn’t realised they had walked into an ambush. Dozens of officers were hiding in furniture vans parked in Davaar Street and they set upon the marchers with the help of additional officers on horseback (referred to in the press at the time as ‘Sillitoe’s Cossacks’). Despite allegations of police brutality, 20 of the 24 Derry Boys arrested that night were given heavy prison sentences. The gang’s leaders were arrested in the days that followed the London Road ambush and soon followed their cohorts to jail. The clampdown was truly underway. The power and influence of the infamous razor gangs waned as a result of focused police actions and increased jail sentences as well as the intervention of World War 2. Post-war Bridgeton was a changing place. The school which Brother Walfrid founded continued to prosper and in the 1960s the Sacred Heart football team which he initiated had two would-be stars in its midst. Future Celt Vic Davidson, who grew up in Ruby Street, became part of the famed Quality Street Gang (of the non-violent kind), Celtic’s reserve team of the late 1960s, and would go on to score 22 goals in 66 appearances during two spells at Celtic Park. 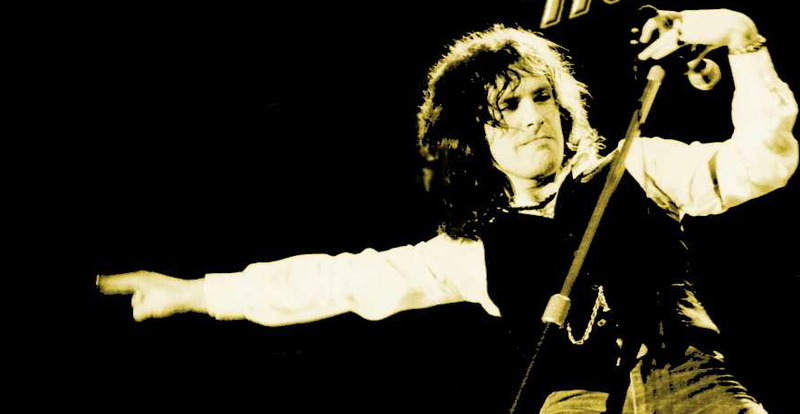 Frankie Miller, who was also an altar boy at Sacred Heart Church, would go on to find much greater fame away from the football field as a blues singer (and songwriter) of international renown. Born in 1949, Francis John Miller grew up in Glengarry’s Colvend Street and has been a Celtic fan throughout his life (he once wore a Celtic top gifted to him by Jimmy Johnstone on stage every night of a US tour). Writing songs from the age of nine, Frankie started singing in bars in the East End and first came to the public’s attention with the band The Stoicks. His raspy, full-throated soulful voice came to prominence after he moved to London in 1971 and he recorded a number of hit songs before moving to the States in the 1980s and wrote a number of songs for Holywood film soundtractks. When pals would ask him why he was back in Glasgow he would usually reply: “To see Celtic and ma mammy.” This was despite the fact his maternal grandfather was Archie Kyle, one of the few Roman Catholics to play for Rangers and Linfield in the early 1900s. The celebrations lasted as long as the licensing laws would allow and then it was off to ‘The Hut’, a dancehall just along the street. And before my dad realised it, his ten bob from selling the match programmes was gone! As my dad explained, a victory such as this was once-in-a-lifetime and ensured that the vast majority of Celtic fans had, for a short time, an escape from the miserable social conditions that were their existence. In 1957 he still lived with his mother and five brothers in relative poverty in a room and kitchen with an outside toilet. Celtic fans had to ensure seven long years without any silverware between 1958 and 1965. Victory over Dunfermline in the 1965 Scottish Cup Final under new manager Jock Stein sparked scenes of joy at Hampden and beyond. The Celtic team bus was mobbed that day as it made its way through the Gorbals on the way back from Hampden and these scenes were repeated in Bridgeton. After crossing the Clyde the celebrating Celts made their way past Glengarry and up Dunn Street to the junction at London Road before turning right towards Celtic Park. A photo taken outside the Waverley Bar, at the junction between Dunn Street and Bernard Street, shows the bus struggling to make its way through a throng of hundreds of cheering supporters. It was another memorable moment of celebration for the Bridgeton Emmet CSC in their own neighbourhood. The district of Bridgeton itself has maintained a strong Orange identity through to the present day. Loyalist bars predominate at Bridgeton Cross and the 1995 murder of 16 year-old Celtic fan Mark Scott outside one of those pubs demonstrated that sectarian violence is not an historical phenomenon. The parish of Sacred Heart has continued on and, despite occasional attacks on church property, as has been the case throughout its history, the church is one of the few surviving places of worship in Bridgeton in the new millenium. The school which Brother Walfrid founded almost a century and a half ago remains a success story. The modern Sacred Heart Primary School is a thriving community itself with a large roll of pupils from a multitude of backgrounds and ethnicities and it is now the largest school in the district. There is no reference in the building to the school’s notable first head-teacher or the incredible venture that was the Poor Children’s Dinner Tables, established to encourage more children to attend school and help lift this originally Highland and latterly Irish community off its knees. The focus is firmly on the educational and spiritual needs of the youth of the parish and few who attend are aware of the connection between the school and one of the world’s biggest football clubs. Today, the streets around Glengarry are largely silent. The tenements which housed thousands upon thousands of Glaswegians in Bridgeton, Dalmarnock and Calton have been swept away. The East End experienced massive de-population in the 1970s and ‘80s alongside the decline of many local industries and businesses. The streets around Glengarry gradually became deserted and after years of dilapidation the bulldozers finally moved in. The Glengarry Bar, at the corner of French Street and Carstairs Street, is long gone. A few industrial buildings have survived including the massive cotton spinning mill on Carstairs Street, built between 1884-1889, which still dominates the area. There are no indications of the presence of those Highlanders who set up home in these streets over two centuries ago – other than the re-emergence of Glengarry Park, once again visible following land clearances between Swanston Street, Adelphi Street and French Street. From the edge of Glengarry Park it is possible to see the modern Celtic Park looming on the horizon, one of the prominent landmarks in the East End skyline nowadays. Norman Street still stands – but the Conks have long gone. (Perhaps just as well as a large Police Scotland building now stands at the edge of their old territory on the riverside). The streets of Glengarry are slowly changing character once again as a result of a large-scale regeneration project undertaken in the East End before and after the Commonwealth Games, under the banner ‘Building the Legacy.’ The new Clyde Gateway now splits Bartholomew Street from the heart of Glengarry while linking Celtic Park and the Emirates Arena to Shawfield and the nearby M77 motorway. The area looks better than it has for years but there is a distinct absence of homes and people.